"National Library Week (April 7- 13, 2019) is a time to celebrate the contributions of our nation's libraries and library workers and to promote library use and support. From free access to books and online resources for families to library business centers that help support entrepreneurship and retraining, libraries offer opportunity to all. The theme for 2019 National Library Week is "Libraries = Strong Communities" and Gates Foundation Co-founder Melinda Gates will serve as 2019 National Library Week Honorary Chair. 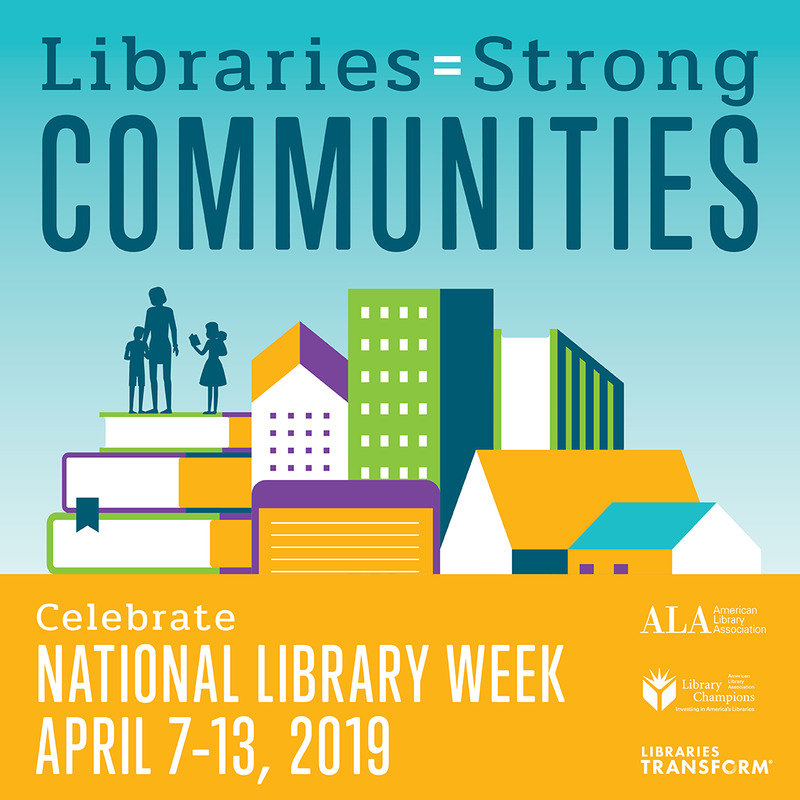 This year's National Library Week theme mirrors an American Library Association (ALA) presidential effort entitled "Libraries = Strong Communities", a national advocacy campaign aimed at highlighting the value of academic, public, and school libraries. This public awareness campaign is supported by ALA President Loida Garcia-Febo (2018 - 2019) and recognized by communities across the country. "